We, teenagers of the 21 st century see life very differently from our parents. Our life generally revolves around competition, success, fashion, technology, studies etc. which leads to self confinement of oneself thus, the meaning of life has taken out from the picture. In our life generally the value of culture and heritage has diminished. But, some people are raised in a different way, contrary to the habitable condition, these people, in their childhood suffer and face a lot and are forced to live a dreadful life. These incidents can cause a psychological trauma and can make that person mentally handicap. Unfortunately, we can find context in various incident of the past and present where children, elders, women and men-folks suffered psychological trauma from an incident that devastated their lives. Our story is no different. Talking about me, I was born in Jammu in Gandhi Nagar. It was winter of 1999, nine years after our migration. As a toddler, my mother says, I used to cry a lot over absurd things such as cats, dogs, the moon, fireworks etc. and would always make their lives more miserable. I am told, at that time, there were not many cars and buses on the road. My father used to take me for a ride on his Chetak scooter until I stop crying. Around 2001-02, our house was completely built. A small, one story house in a rather quiet society. I had a small family; me, mom, dad, grandpa, grandma. When I was in my 6th standard, I was first told that you were a Kashmiri; This was taught to me when I asked my parents that, if people of Punjab are Punjabi, Bengal are Bengali, then what are we? When I heard it, I took a sigh of relief, as I had thought I would never liked to be called a “Jammuee” (This was the word I thought I might hear.) As all my cousins were in Delhi and Chandigarh and I was a single child, its quiet obvious to deduce that I had a lot of lonely time. At that time, I used to sit with my grandparents and they would recite me stories from Gita, Ramayana, and Mahabharata which I enjoyed. My grandfather used to read two newspapers daily (one English and one Urdu). I would some time ask them, pointing my tiny fingers to any random line on the Urdu newspaper, “What is this?” They would answer me with a smiling face. My grandfather often used to tell me about their childhood, how they used to study and also about their house. Once they told me about how, they were appointed for a job that was in Muzzafarabad and how their refusal saved them from the wrath of partition. It was 1947, they just had completed their matriculation exam and were asked by their father that there is a post of teacher in Muzzafarabad, which he should take, in order to earn for the family (he had a lot of siblings). Call it their ignorance or they forget, he couldn’t join the office which proved to be a blessing in disguise. They also showed me their matriculation certificate, after much requests. In school, there was this one incident which happened to me in 8 th class. There was a boy, who used to annoy everyone; no one was spared from his mockery. One day he decided to annoy me. After much ignorance, I shouted, “Shut Up”. He had expression, totally opposite from what I was expecting, he was laughing with joy, and then he said, “Hath Me Kangri,Muh Me Choley, Kaha se Aaye Ye Kashmiri Loley”. I didn’t know how to respond to that. This was something I had never heard, and something I didn’t expected from one of my classmates. Other classmates interrupted and calmed the situation. I didn’t tell this to anyone at home, only kept it to myself at that day; I came across this question “DO I belong here?” it got me thinking for days until in school, I did a musical performance with my friend, it was a Dogri song, and after we sang, the sound of applause from the audience answered my question. In my family, my father is a Kashmir lover, my mother on contrary, isn’t. no doubt, she has created an environment in the house by which one could easily identify her love for the culture and heritage of that land but when the statement “let’s go to Kashmir this summer” is said by dad, the expressions of my mother’s face changes. 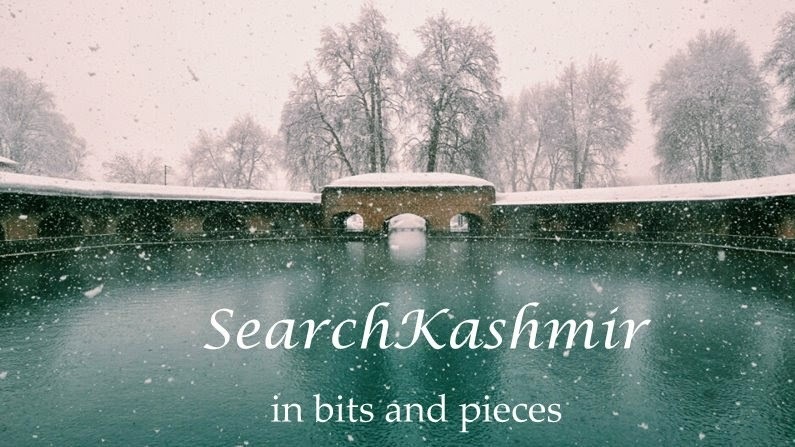 She always says that there are more places to go then just Kashmir, She avoids going there, main reasons being the recent turmoil caused by the miscreants and the previous experiences of migration. Talking about my parents, my father lived in Habba Kadal, a locality having majority of KP families residing. He had his schooling from national high school Karan Nagar and then he went to Baraut for his B.sc in agriculture. He shared various incidents of his college life, how they, with a group of kashmiri boys used to live together in hostel, prepare Roganjosh and Haak using homemade Kashmiri spices and have a feast in their hostel rooms, with even giving a plateful of that to guard so that the feast goes on uninterrupted. My mother is originally from Bandipore, but she too shifted to Habba Kadal after the demise of her parents. She had her schooling from Bandipore. The best part of family gatherings is different for different people. For some, it is food, for some it is playing cards, for some it is singing, but for me, it was listning to discussion held by older people, discussion being about incidents from past, stories, jokes, family secrets etc. I was a member of that group, not a speaker but a listener. Some people would ask me whether I was able to grasp and connect with the kath-darbaar going on here, I would nod my head, not breaking the rhythm, not breaking the flow of their tales. 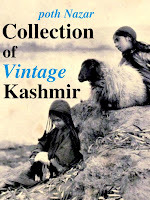 By such stories, I learned a lot about things, places, people, historic events, funny incidents, all related to Kashmir. But apart from all that, after the fun and laughter of the past, came the sad ending; Migration, Exile, Exodus, Azaab, Pain, Homesickness, sometimes it would end with teary eyes and people would leave for their home, a home that is just a house now, not a Ghar. I sat there in the empty room, all this events revolving inside my brain, forming the story. Such a story was their when my uncle told me that it was because of migration, you are in this world. I was totally awestruck and confused and even thought for a moment that he might be drunk! He told me that once he went to see my father in 1989, to check if he can be a suitable match for my mother, he went to his house, meet him and left. Before any further talks could proceed, the wrath of migration befallen on them and they were forced to leave their home my uncle lost hopes of finding him in the large commotion of people roaming across all over India in search of shelter. They too left Kashmir and came Jammu. One day, he had gone to Geeta bhawan to meet his friend who, like others, was waiting in line to get registered as a migrant and get a migrant ration card. And there, he saw my father, too waiting in line. They meet and hugged each other and two years later, my parents got married. I was fortunate enough that my family didn’t had to suffer the wrath of migration camps and further atrocities caused by the gloom-ridden tent life, but that doesn’t imply we had a smooth life, the psychological trauma was with us too, in our minds. In my childhood, I remember going to Mishriwala, Muthi camps with my mother. She, working in social welfare department, had been given duty to collect data of the migrant families for some government purposes. I don’t remember quite much of the details involved but I do remember the conditions and environment where the people were living, it was too pathetic to even describe that place in words. At present, I have a lot of friends and relatives living in Buta Nagar and Jagti camp and I often visit them. Apart from their present financial conditions, one can witness that none of them show a lack of discipline, values, hospitality and respect. Even in toughest time, they held their moral status perfectly. Another quality, which I have recently encountered in my college life, is of the traditional attachment of Kashmiri Pandits which leads to the formation of small groups. Pune, Mumbai, Haryana or Florida, UK, Germany where ever KP’s are present, there exists a Community/Group. This helps, in my case in keeping the bond between the Kashmiri brethren and also helps one to quickly adjust to the new environment as you will have people from your community surrounding you. I think that the teenagers/millennial/youth of KP have inherited a void, a void of Kashmir, the real Kashmir, that Kashmir whose stories we used to listen from our parents, that Kashmir where Lal-ded fed Nund-reshi with her milk, that Kashmir where after a prayer to Shankaracharya Temple, one paid homage to Hazratbal Shrine and that Kashmir also who is still waiting with his blood soaked chest, waiting for his long lost children. I may have visited Kashmir five times, but only as a tourist. I wish that this generation pass down its legacy, a legacy more than thousand year old, praised by all from Nilamat Puran to Walter Lawrence; to its rightful descendants. I may have not got the chance to be born or raised in Kashmir, but my wish would be that each part of my body would embrace and get absorbed into my motherland, just like a plant who grows from the land and is, at last, diffused back into it. Only then my soul would find solace and finally I will reach my home.